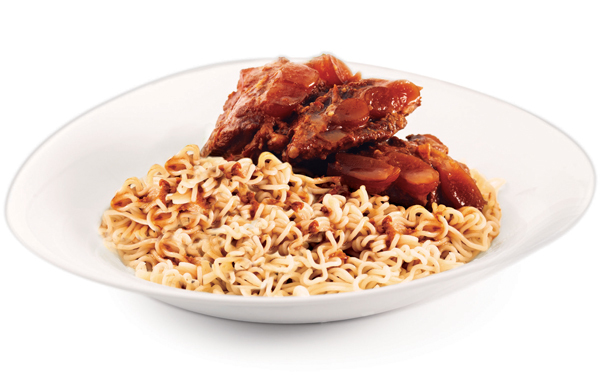 A noodle dish inspired by the classic Peking Sweet and Sour Chili Prawn. 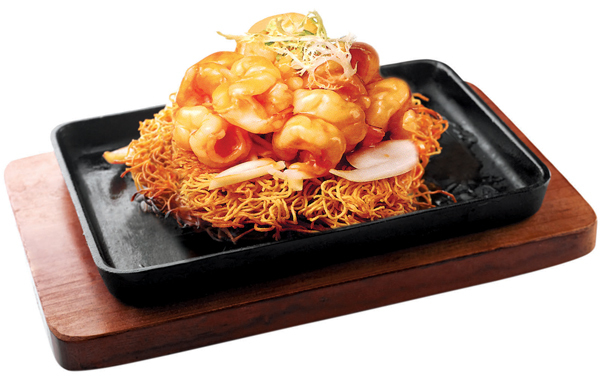 The noodles are pan-fried to a crispy and crunchy state, then mixed with succulent sweet and sour king prawns on top. 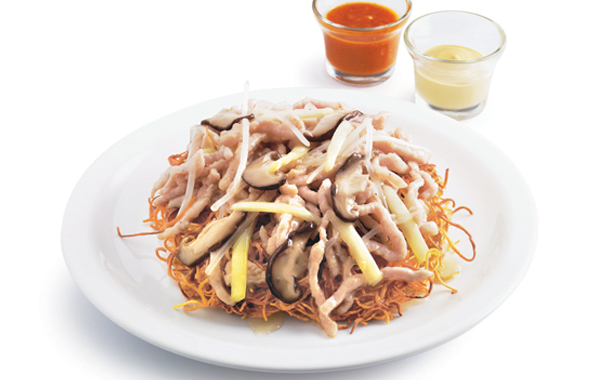 Crispy and golden pan-fried premium whole egg noodles covered with lean pork, fresh sprout, leek and mushrooms. Pepper sauce, mustard and rice vinegar are served on the side. Tsui Wah’s signature curry is made from a secret recipe from a Malaysian chef in the 60s. Natural and fresh ingredients are blended with imported curry powder and over 30 types of herbs and spices. Stewed for over 6 hours each day. 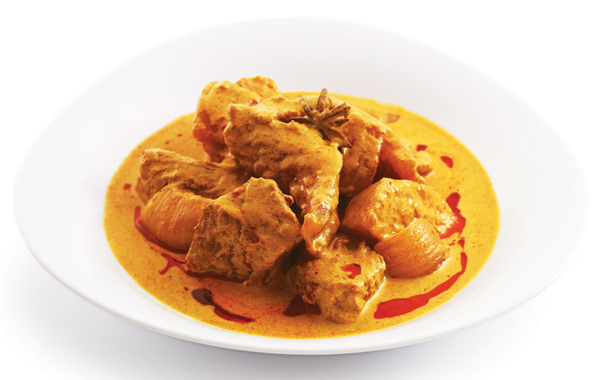 Tsui Wah’s curry has wowed customers with its exclusive flavor! * All curry dishes contain beef ingredient. 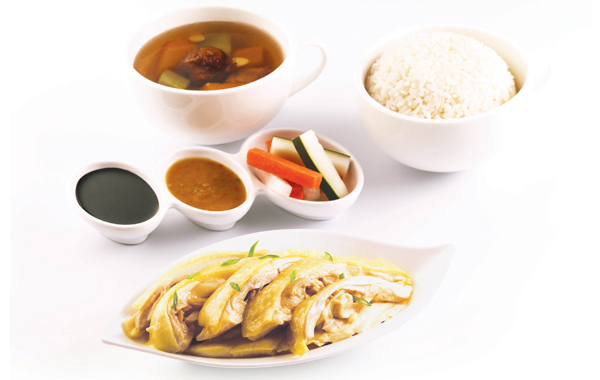 The soft and tender stewed pork cartilage is marinated with our special sauce to bring out its mouth watering flavor. The dish is named after the hometown, Kagoshima, of the Japanese chef who shared this recipe with us. 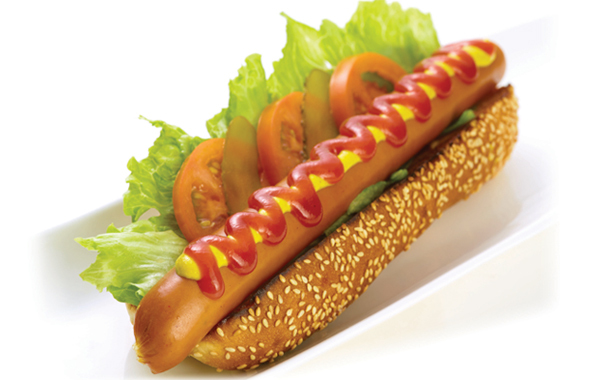 Tsui Wah’s hot dog is famous with its 11 inch juicy sausage and sesame seed bun. Filled with fresh lettuce, tomato and cucumber, with traditional sauce. 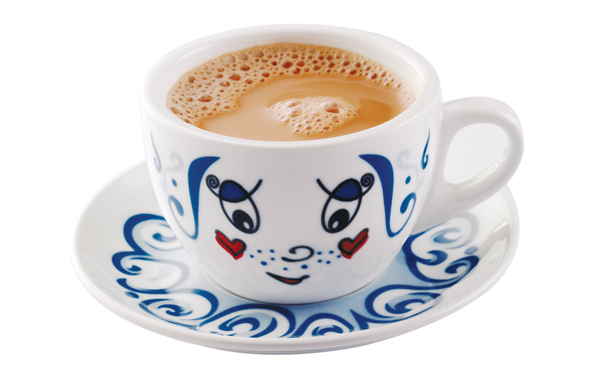 * Coffee and Milk Tea products contain caffeine and is not recommended for children under age of 12 or pregnant women. 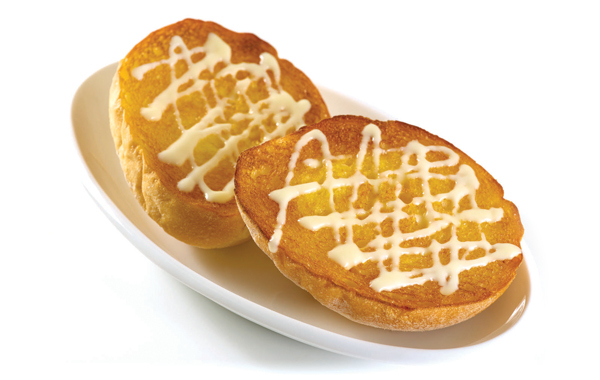 “Crispy Bun served with sweet condensed milk”is Tsui Wah’s reinvention of a classic Hong Kong snack. Each freshly baked bun is richly coated with thick butter and condensed milk, giving it an irresistible taste that is crispy on the outside and soft inside. 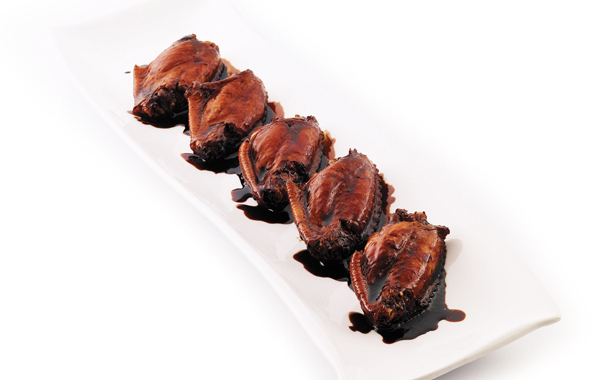 Tsui Wah takes this Cantonese favorite to the next level by marinating the wings with aromatic sweet soy sauce. The wings absorb the sweet soy sauce fully and offer a real treat of juiciness and tenderness. Tsui Wah fish balls are made daily with handpicked yellow eels and over 10 types of fresh fish. 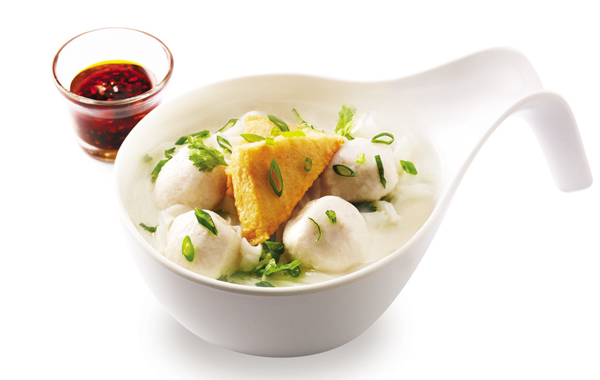 Our fish balls are made in the morning daily and contain no colour additives or preservatives. Juicy, boneless and tender, delivering satisfaction to your taste buds, the dish is served with a bowl of flavored oil rice made with chicken stock, basil and lemon grass. Copyright © 2018 Tsui Wah Group. All rights reserved.